If you want to add a little drama and excitement to your garden, using plants and flowers with dark colors will always fit the bill. 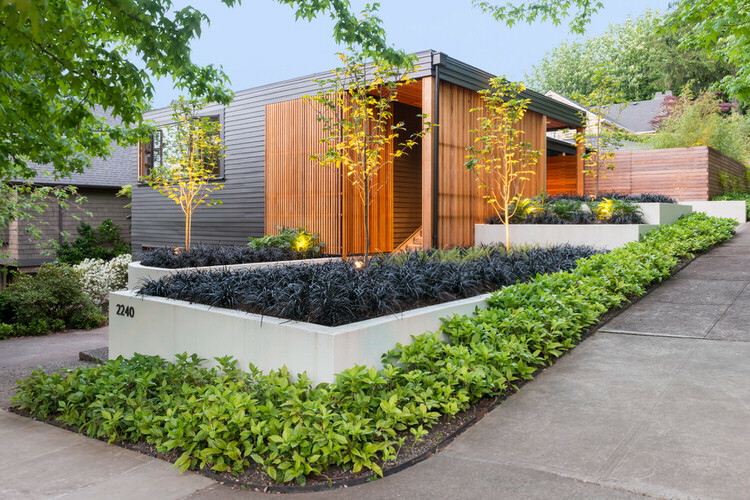 Not only do they add subtle but sophisticated pops of color, they add contrast, interest and texture to the garden. And we all know the opposite of boring is dramatic! Whether the plants you choose are black, chocolate, burgundy or deep plum, use these colors for an sophisticated garden design. Here’s how to add the moodiness of dark & dramatic plants and flowers to your garden space, while enhancing what you already have. Tips for using dark & dramatic plants in the garden! Position dark plants next to a light or bright colored plant variety for contrast, it will make both plants “pop”. 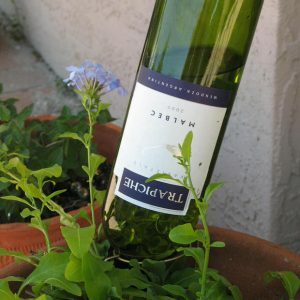 Lime green leaves, white flowers or silver leaved plants are particularly good at bringing out the best in dark leaves or blossoms. Make sure you have some sun or dappled light on dark plants, even the ones that prefer the shade. Their dramatic colors are hard to see and appreciate in dark corners. Most dark leaved plants develop better color in the sun as well. Use landscape lighting for dark and dramatic plants at night for a wonderful feature focal point. 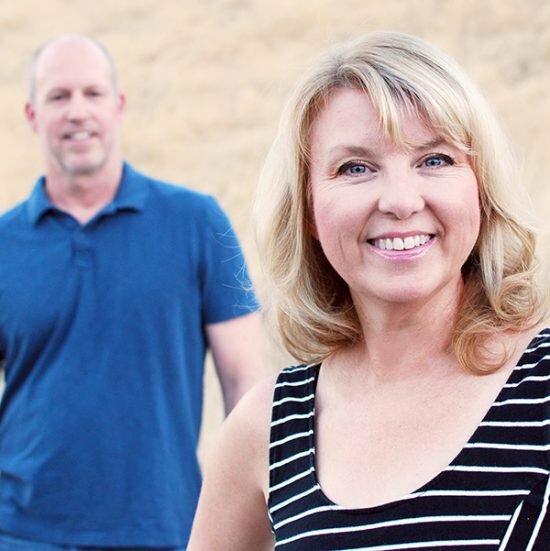 Find out how to install low voltage landscape lighting from our tutorial. Minimize your use of nitrogen rich fertilizers, as that will cause many dark plants to show more of the green beneath their dark facades. 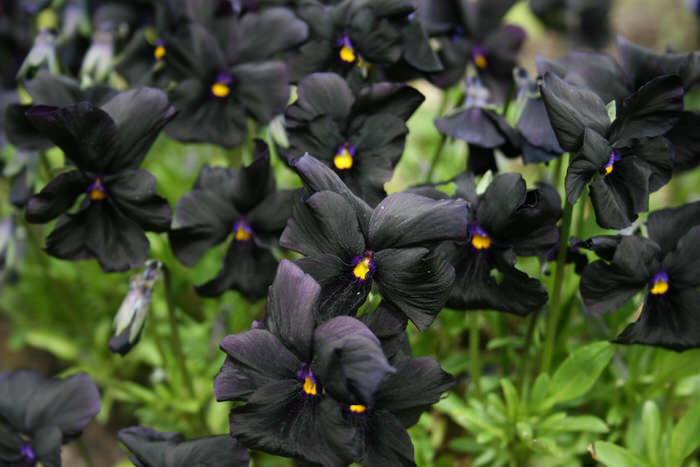 Our favorite dark & dramatic flowers & plants! 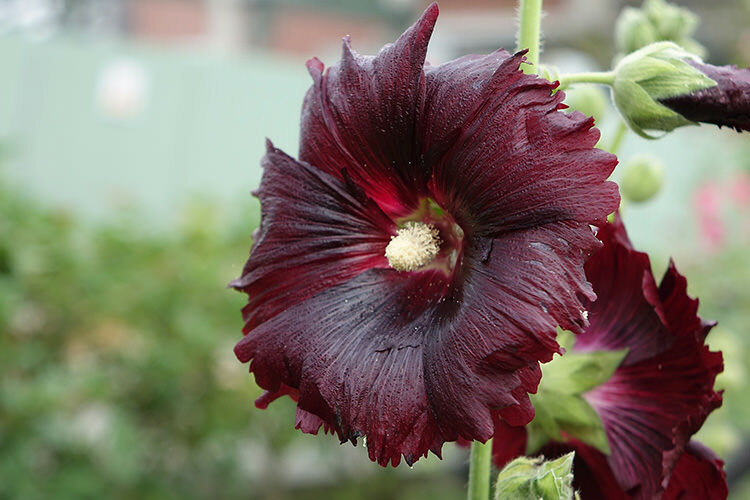 Hollyhock “Nigra” – If you love the old fashioned look of hollyhocks, try this rebellious twist. The flowers are almost black with a maroon base. They grow 5-6 feet tall and are hardy zones 3-8. Full sun. Blooms mid-late summer. 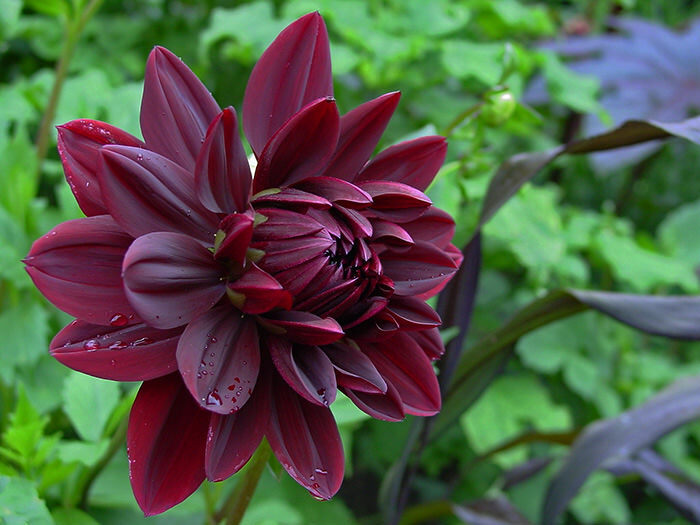 Dahlia “Arabian Night” – This dahlia is a tuberous plant that can be grown down to zone 6. You can lift the tubers in the fall and replant in spring if you live in a colder climate. Full sun. Two feet tall and wide. 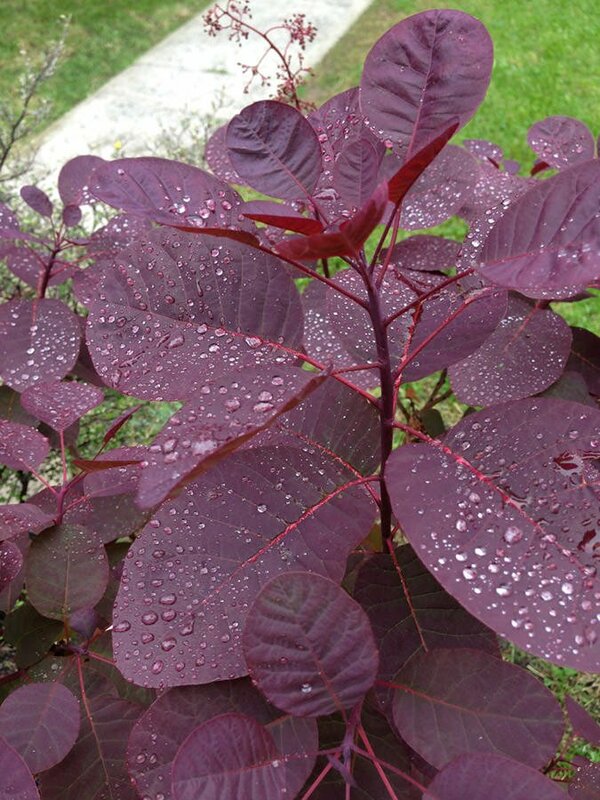 Smoke Bush “Royal Purple” – This dark purple leaved shrub can be grown as either a large bush or a small tree. Hardy to zone 4, this is a deciduous shrub which turns scarlet, orange and yellow in the fall. In the early to late summer, clouds of seed pods are suspended over the bush, creating the look of purple “smoke”. 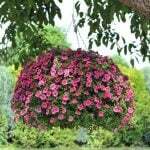 Gorgeous landscape feature plant that grows to 15 feet tall and wide. Photo by ‘Tutu Guru‘. 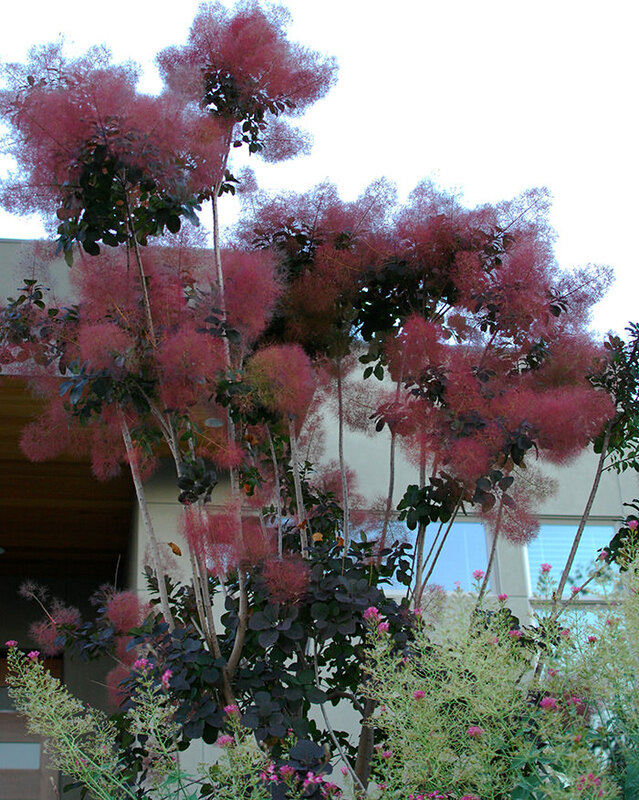 Here is a smoke bush/tree in our own neighborhood! Photo by Steve. 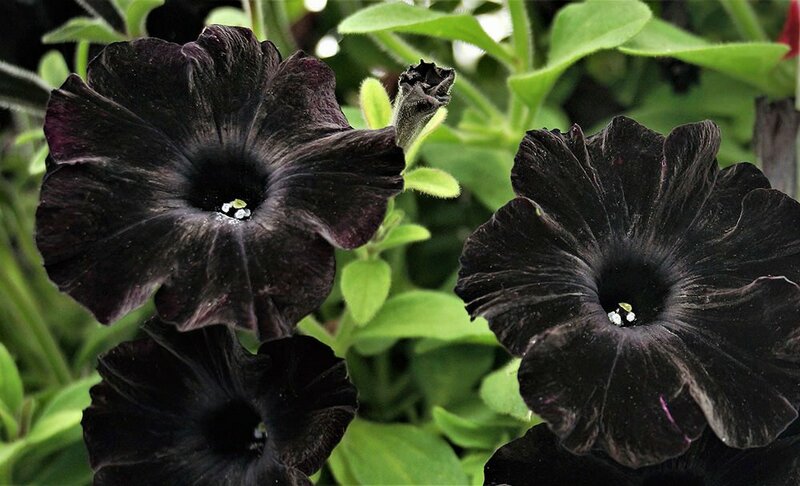 Petunia “Black Velvet” – Think annuals like petunias are tired and cliche in the garden? Then try this one! 8-12 inches tall and wide, this little bloomer loves sun to part shade and will flower from late spring through fall. 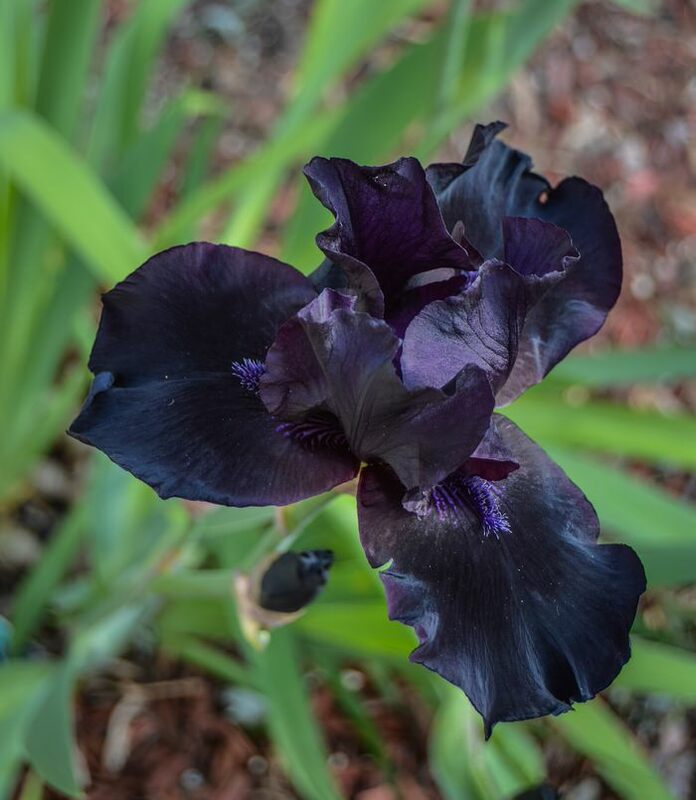 Iris “Obsidian” – This iris is a tuber that comes back year after year, hardy to zone 4, this variety blooms midsummer and prefers well drained soil. The purple, slightly cream tipped beards make it all the more alluring. 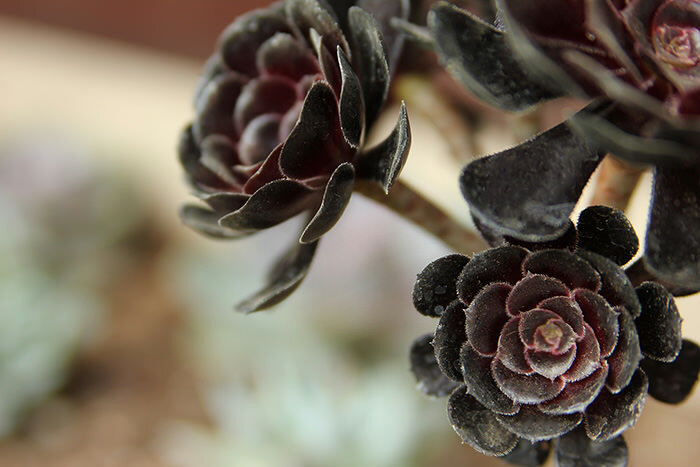 Succulent Black Rose “Zwartkop” – This succulent has black leaved rosettes born on stalk 1-3 feet high, and blooms are primrose yellow in winter. They are only hardy down to zone 9, but can be brought indoors in winter. Full sun, but protect from hot afternoon sun in desert areas. 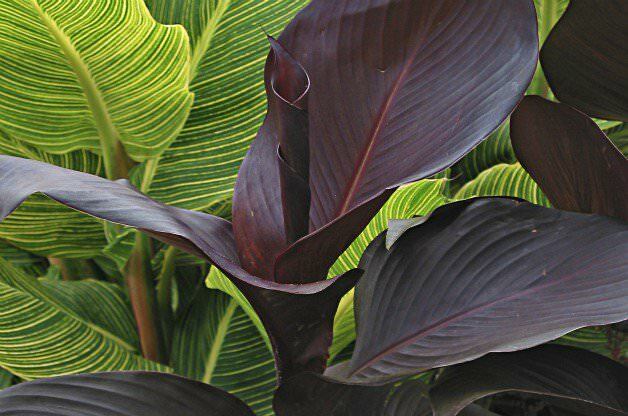 Canna “Tropicanna Black’ – This rhizome is hardy to zone 7, and can be dug up each fall and replanted in the spring. 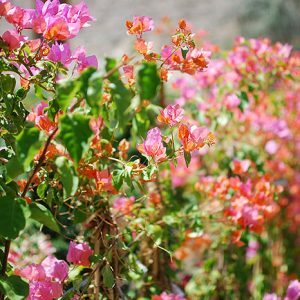 Growing to six feet, they have bright scarlet blooms and an exotic feel. They prefer at least six hours of sun a day for best color. Photo by ‘Birds & Blooms Magazine‘. 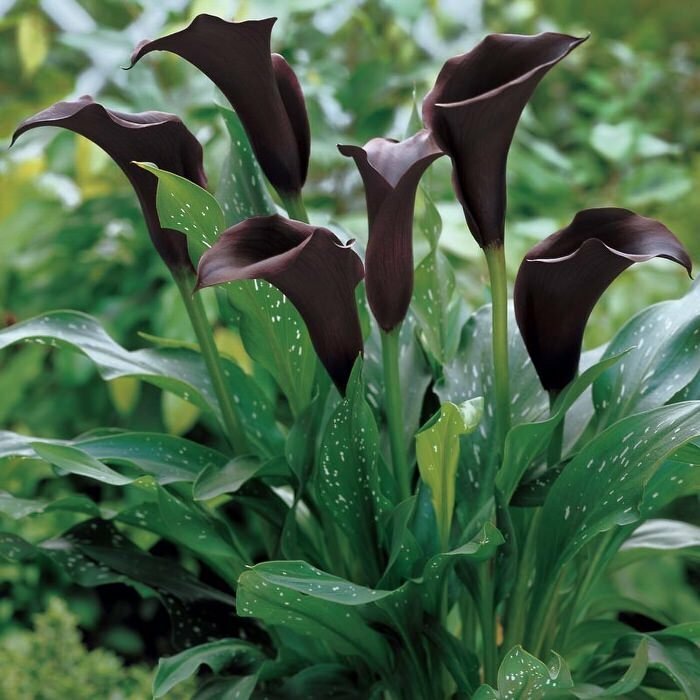 Calla Lily “Black Forest” – This calla lily grows to 18 inches high and wide, and blooms black on white speckled leaves. Like all callas, they are hardy only down to zone 8 but make wonderful container plants that can be brought indoors in winter, or the bulbs can be lifted and replanted in spring. Blooms mid summer through fall. Full sun. Photo from ‘Tumblr‘. 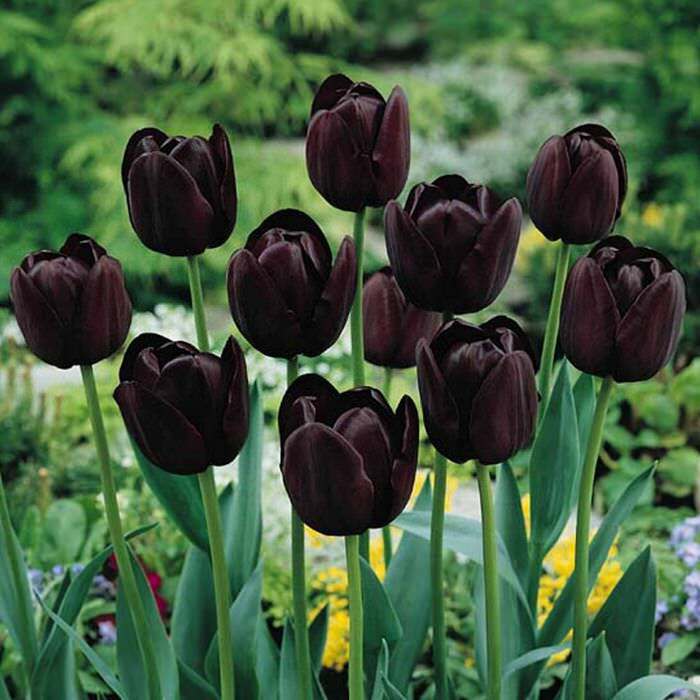 Tulip “Queen of Night” – This tulip blooms in April- May and looks amazing planted with “Jack Frost” Brunnera. Photo by ‘Humphreys Garden‘. 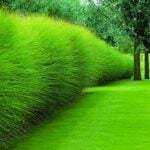 Black Mondo Grass – This tidy little ornamental grass is great in the garden or in containers. Growing to just 6-12 inches, its deep black leaves look amazing all season. This little gem prefers afternoon shade in hot areas. Hardy zones 6-9. Evergreen in mild winters. Photo by ‘Wayside Gardens‘. 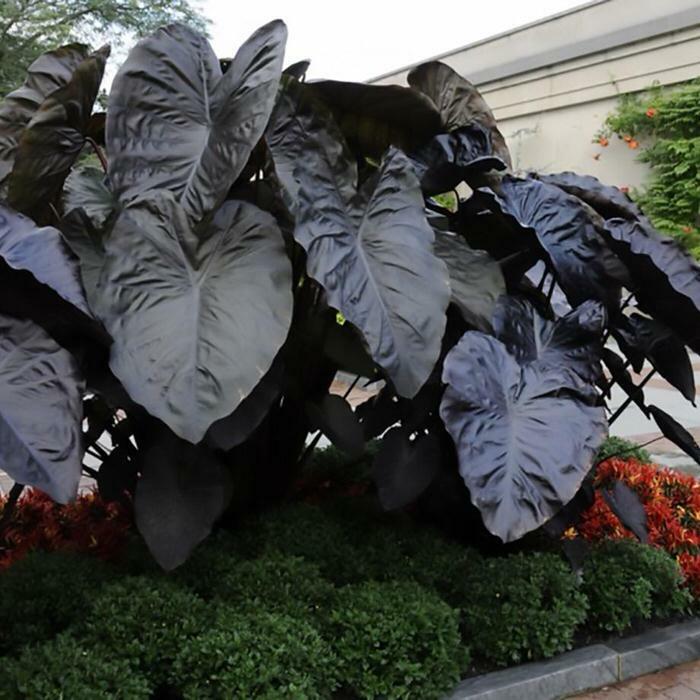 Elephant Ear “Diamond Head” – This tuber grows into a giant plant 6-10 feet tall with deep glossy black leaves. Preferring bright light and some sun to develop its best color, its loves moisture, and even thrives in a boggy condition. Fine for a large container, this dark and dramatic plant must be brought in for winter below zone 8. Photo by ‘Easy to Grow Bulbs‘. 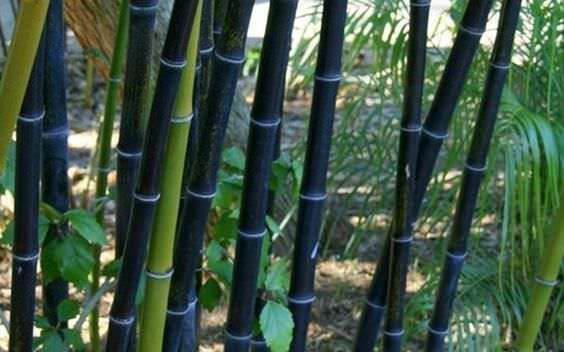 Black Bamboo – An impressive plant, this running bamboo is best planted in large containers to prevent spreading out of control. 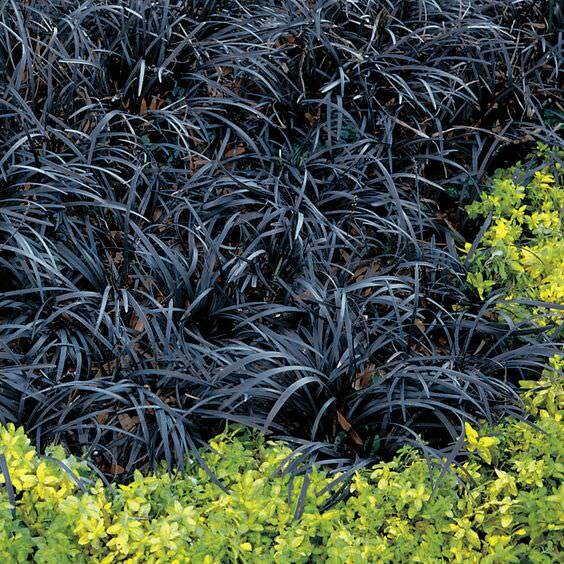 Worth it for its striking ebony color alone, it also makes a great privacy plant for decks and patios. Hardy down to zone 6 or 7, its prefers some afternoon shade in hot areas. 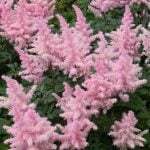 Try to plant it in an area that it will be protected from drying winds. In the ground, grows to 30 feet, but only 10-15 feet in a container. Photo by ‘Gardener Direct‘. 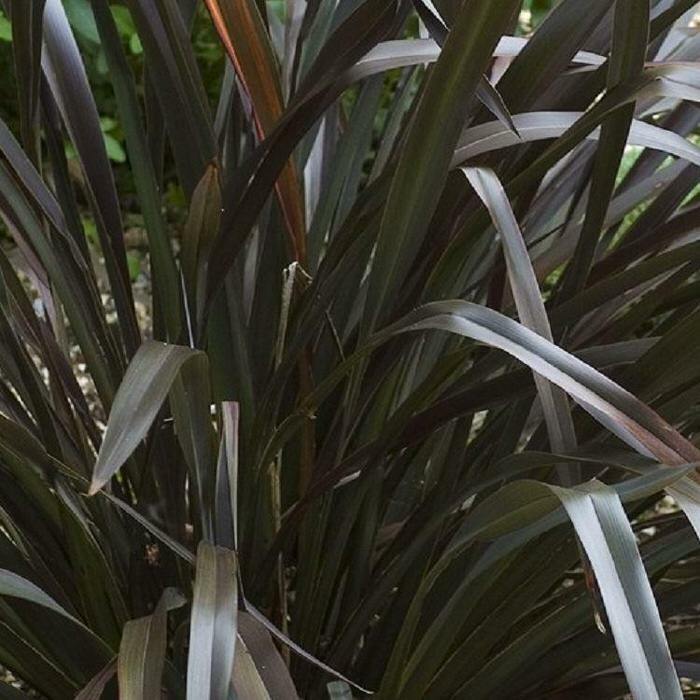 New Zealand Flax “Platt’s Black” – An impressive container plant often used with modern architecture, it can also be grown in the garden in zones 7-11. 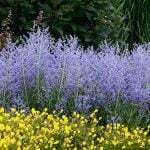 Prefers full sun and moist, well drained soil. Three feet tall, and evergreen in milder climates. Photo by ‘Gardening Express‘. Viola “Molly Sanderson’. This tough little annual will grow as an evergreen in a mild climate to 8 inches tall. It blooms from spring through fall if given some protection from the hot afternoon sun in the summer. Royal Horticultural Award winner. Photo by ‘Ballyrobert Gardens‘. 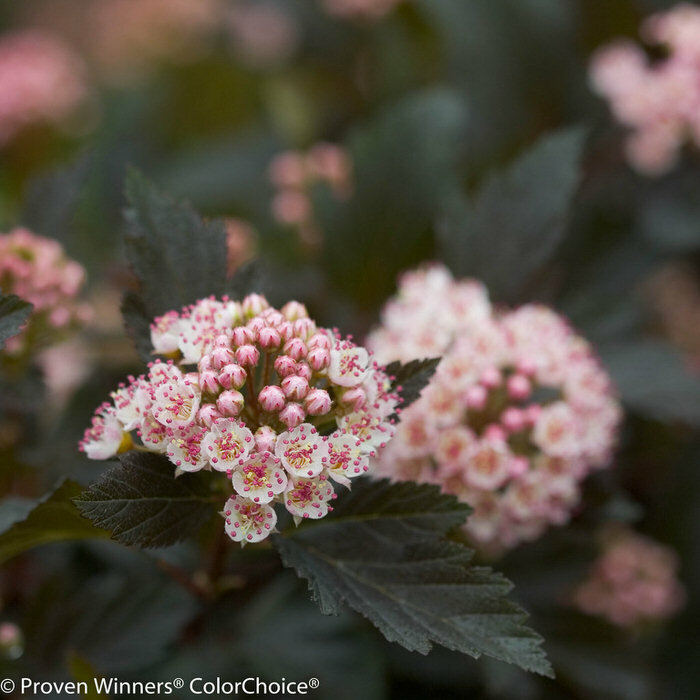 Ninebark “Summer Wine” – This deep purple shrub grows 5 feet tall and 6 feet wide in a graceful arching shape. A tough plant with glossy, deep leaves, it blooms in June with pretty light pink to white flowers that age to deep red, adding to the drama. A tough plant, hardy to zone 3. Sun. Photo by ‘Proven Winners‘. Hopefully you enjoyed learning about Dark & Dramatic Plants in the Garden! We think you will also love our posts on Perennials for Shade the Bloom All Summer and Hardy Tropicals You Can Grow! wow your images are so strong. Absolutely love the dark colours. Black plants are just stunning. Black Rose “Zwartkop my fav one its so beautiful thanks for sharing this lovely post .